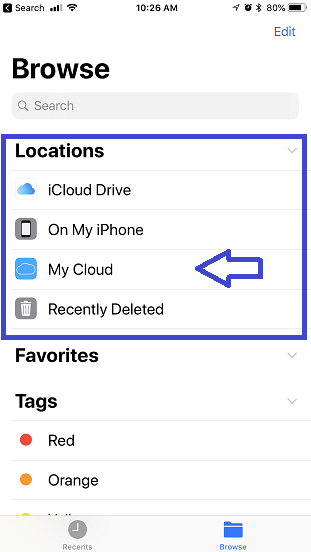 Important: Accessing the My Cloud from the iOS 11 Files app will consume mobile device cellular data if the mobile device is not connected to the Internet over a Wi-Fi connection. 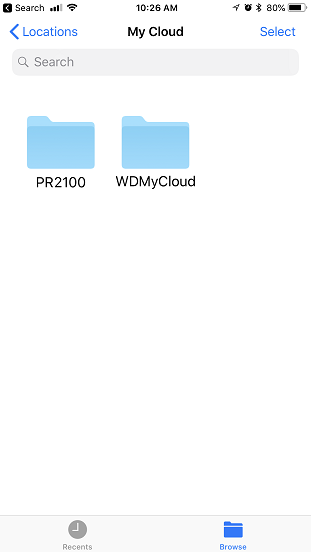 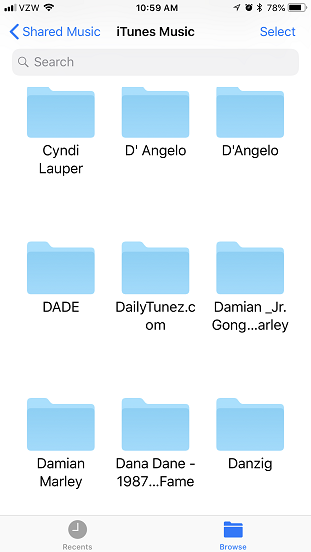 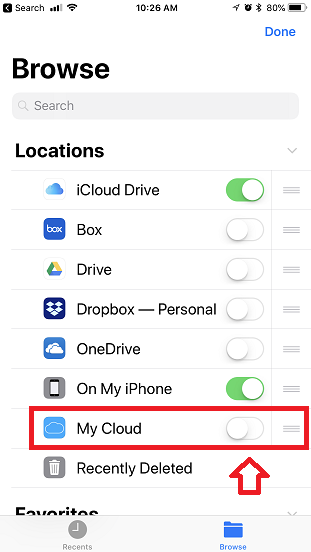 The My Cloud Mobile App supports the Apple iOS Files as a Third Party App. 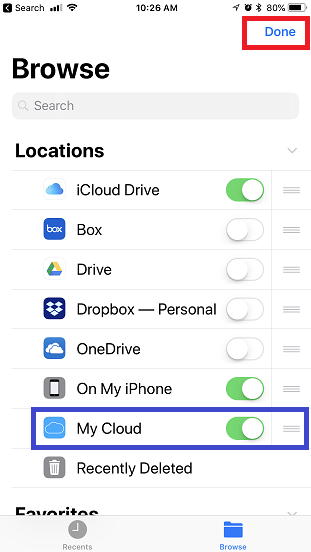 Follow the steps below to enable My Cloud access using the iOS 11 Files App. 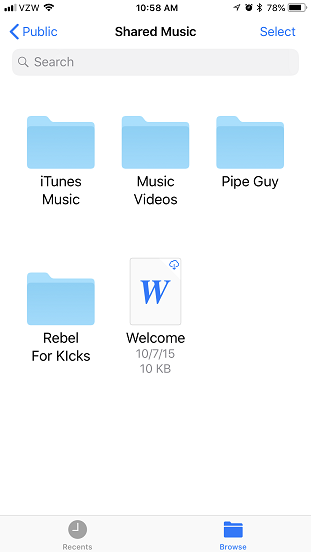 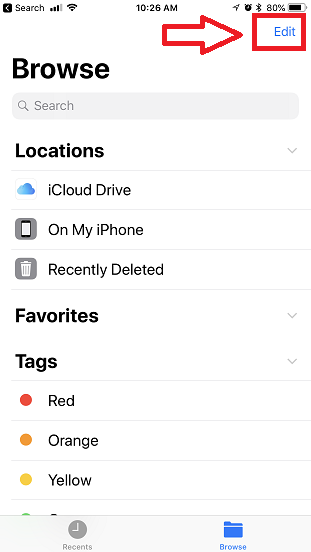 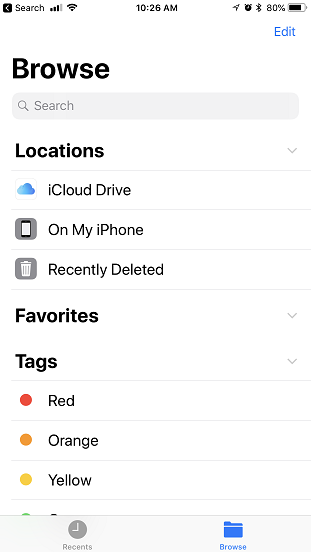 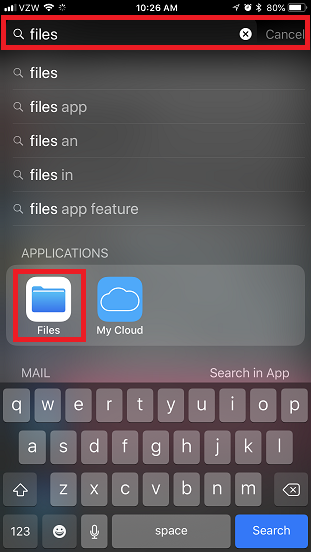 Open the Files App on the iPhone or iPad or Swipe Right on the mobile device to locate the search field and search on "files"
Follow the steps below to browse and access content on a My Cloud from the iOS Files App. 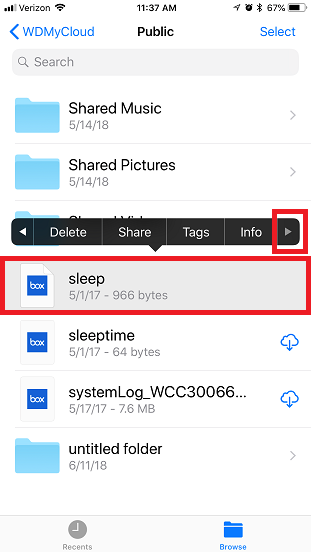 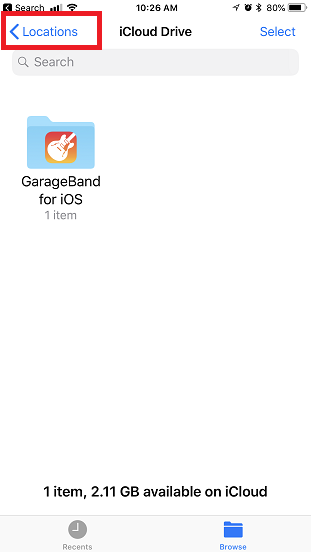 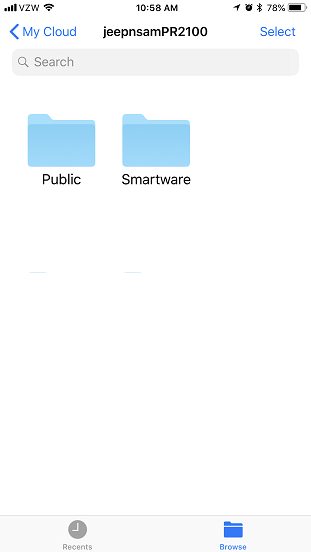 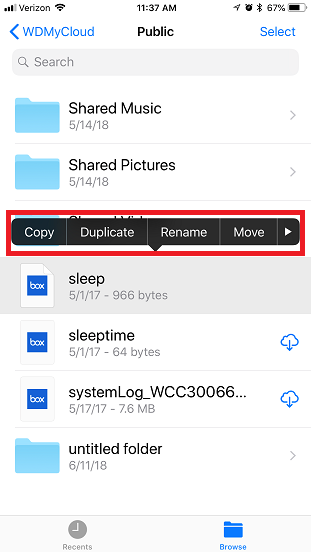 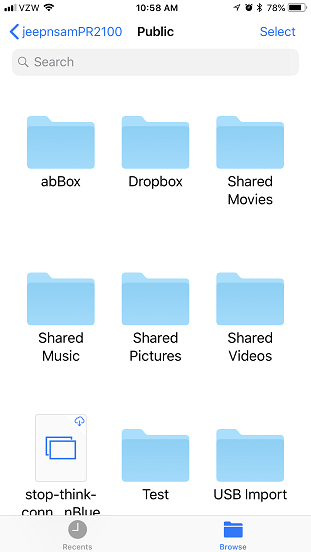 Use the steps below to Copy, Duplicate, Rename, Move, Share, Tag and get File Info on file or folders on a My Cloud using the iOS 11 Files App.